The Wiltshire Psychology Service has been successfully providing an adult psychology service to Swindon, Bath, wider Wiltshire, south Gloucestershire and south-west Oxfordshire since 2006. In 2011, we expanded to provide a comprehensive child and family service. Our psychologists each hold a Disclosure and Barring Service (DBS) check, formerly known as a CRB check. All of our psychologists are also members of the British Psychological Society Independent and Private Practitioners Network. BA (Hons), MA (Clin Psych), C.Psychol. Jill is a Chartered Clinical Psychologist and co-founder of the Wiltshire Psychology Service. Jill’s previous NHS practice was in a Community Mental Health Team where she was working within a multi-disciplinary team with adults with a variety of different psychological difficulties. She has also worked as a private practitioner within a GP surgery. The combination of these two work settings (primary and secondary care) has given her experience of working with clients with a wide range of different psychological difficulties. She also has experience of developing and facilitating training workshops, and running skills training groups. Jill practises Cognitive Behavioural Therapy (CBT) and Eye Movement Desensitisation and Reprocessing (EMDR) amongst other therapies. Lynda is a Chartered Clinical Psychologist who previously worked in the NHS. Her NHS practice was in Adult Mental Health, specialising in Crisis Resolution and Home Treatment. Along with Jill, Lynda founded the Wiltshire Psychology Service in 2006. She has worked with a wide variety of difficulties over that time. Lynda has a special interest in trauma and Post Traumatic Stress Disorder. Related to this, she has a particular interest in working with military personnel. Lynda has a wide range of experience in mental health problems as well as with people who are looking to improve the way that they feel about themselves and the direction that their life is taking. Lynda has published work in the area of Crisis Resolution and Home Treatment. She has experience of teaching psychological concepts to other professionals working in mental health, both in the workplace and as part of university courses. Lynda’s range of therapies includes Cognitive Behavioural Therapy (CBT), Schema Therapy and Eye Movement Desensitisation and Reprocessing (EMDR). 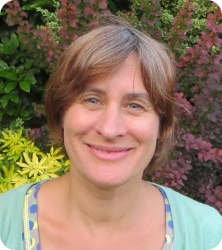 Lynda is an Associate Fellow of the British Psychological Society (BPS) and an EMDR Europe Accredited Practitioner. Beth is a Chartered Clinical Psychologist, specialising in working with children, young people and their families with a wide range of mental health difficulties. She was previously employed by the NHS, in a number of Child and Adolescent Mental Health Services (CAMHS), and has delivered training on therapeutic interventions and teaches on a Clinical Psychology University course. 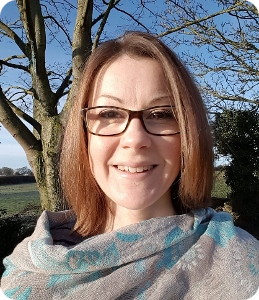 Beth’s range of therapeutic expertise covers the delivery of a variety of talking therapies, with a particular interest in anxiety, low mood, low self-esteem and trauma. She is also experienced in working with individuals with Social Communication difficulties such as Autism Spectrum Disorder (ASD) and is skilled in ASD behaviour management. Beth has had additional training in working systemically with families who are struggling to manage challenges within the home, perhaps around issues such as anxiety, anger or managing the teenage years. She has also had specific training on carrying out Neuropsychological assessments with children; such assessments can provide a profile of the child’s strengths and difficulties in relation to cognitive functioning, academic achievement, memory, attention, concentration and visual motor skills. They can be useful if there are concerns about a child’s schooling, academic ability or progress. 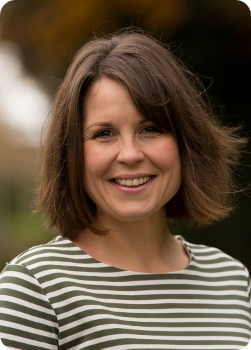 Beth’s therapeutic approaches are varied and include Cognitive Behavioural Therapy (CBT); Eye Movement Desensitisation and Reprocessing (EMDR); Acceptance and Commitment Therapy (ACT), mindfulness techniques and working from a narrative and systemic perspective. Beth is an Associate Fellow of the British Psychological Society (BPS). BSc (Hons) Psychology, D.Clin.Psychol., C.Psychol, BSc (Hons) Chem. Chrissie is a Chartered Clinical Psychologist with over 10 years’ experience of working in psychology teams across both the NHS and private clinical settings. Chrissie completed her doctorate in psychology at the University of Edinburgh where she specialised in working with adults with complex mental health problems in both in-patient and outpatient settings. 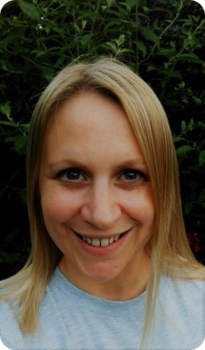 Chrissie is trained in delivering psychological therapy using a range of therapeutic models including Cognitive Behavioural Therapy (CBT), Cognitive Behavioural Therapy for Psychosis (CBTp), Behavioural Family Therapy (BFT) and psychodynamic-influenced approaches. She prefers to take an integrated approach to therapy, tailoring the therapy process to the individual by drawing upon a number of psychological approaches. Chrissie has worked with people experiencing a wide range of difficulties including anxiety-related disorders, chronic depression, phobias and interpersonal relationship difficulties. Chrissie has experience in providing both one-to-one and group-based therapy, and has also designed and delivered training programmes for staff teams. She has published work in the field of challenging behaviour and neurological impairment. Prior to her psychology career, Chrissie worked for eight years as a corporate manager in the private business sector. Chrissie is a chartered member of the British Psychological Society and is a practitioner registered by the Health and Care Professionals Council (HCPC). BSc (Hons), D.Clin Psychol., C.Psychol. Alison is a Chartered Clinical Psychologist. She qualified in Oxford in 1998 and has been practicing in Adult Mental Health in Wiltshire for the past 17 years. Her special interests include eating disorders, complex and relationship issues, depression, anxiety, stress-related disorders and low self-esteem. Before retiring from the NHS in 2015, she was Consultant Clinical Lead for the Eating Disorders Unit at Cotswold House Marlborough and has experience in team leadership and supervision. 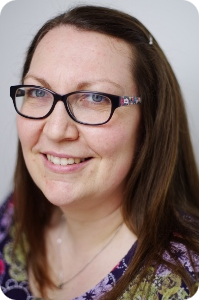 Alison works with a range of therapeutic approaches including Cognitive Behavioural Therapy (CBT) Motivational Enhancement and Schema work, but generally takes an integrated and person-centred approach to therapy. Kate is a Chartered Clinical Psychologist with over 14 years post qualification experience of working in Adult Mental Health services within the NHS. Her work has involved providing specialist psychological input and therapies to adults accessing support from Community Mental Health Teams within Wiltshire. She has experience of working with adults of all different ages and with a wide range of difficulties including trauma, depression and anxiety-related problems. Kate draws on a range of therapeutic models when delivering psychological therapy. She practices Cognitive Behavioural Therapy (CBT), Eye Movement Desensitisation and Reprocessing (EMDR) and applies integrative approaches informed by therapies such as Schema Therapy, and Compassion Focused Therapy. As part of her NHS role, Kate also worked in a multidisciplinary diagnostic assessment service for Autistic Spectrum Disorder. She is experienced in offering post-diagnostic support to adults and tailoring psychological therapies for ASD and co-occurring mental health problems. 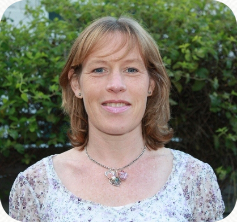 Kate is experienced in delivering teaching, consultation and supervision. She is a Chartered member of the British Psychological Society and a member of the EMDR Association UK & Ireland. She is a registered practitioner with the Health and Care Professionals Council (HCPC). BA (Hons), MSc (Clin Psych), D.Clin Psychol., C.Psychol. Susannnah is a chartered clinical psychologist, who has specialised in working with children and adolescents with mental health difficulties and their families for over 16 years. She is experienced in working therapeutically with a wide range of emotional and behavioural concerns. These include low mood, anxiety, trauma and self-harm. She has worked regularly with young people with autistic spectrum difficulties and learning difficulties, and also with young people who have additional physical health concerns that impact on their emotional well-being. 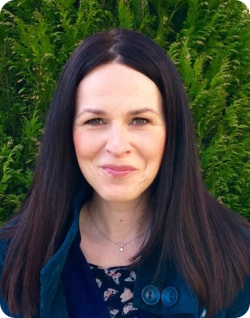 Susannah is currently also employed as a Clinical psychologist by the NHS and she enjoys working collaboratively with children and young people using a variety of therapeutic approaches to bring positive change. Her approaches include Cognitive Behaviour Therapy (CBT) and Systemic (family) approaches. She is also experienced in cognitive/neuropsychological assessment, which in some instances can help understand how learning concerns can contribute towards a young person’s emotional difficulties. She is trained in Autistic Spectrum Disorder assessment (Autism Diagnostic Observation Schedule, ADOS). Susannah is a member of the Division of Clinical Psychology within the British Psychological Society, and she is a registered practitioner by the Health and Care Professionals Council (HCPC). Chloe is a Chartered Clinical Psychologist with 12 years’ experience working within the NHS, specifically focused on working with children and young people, their family and carers. Chloe is able to work with children experiencing a range of difficulties and life challenges. She is able to support and provide information for children and their families who are facing issues related to trauma, depression, and anxiety. In addition, Chloe has many years of experience working with children who exhibit behaviours which others find challenging as well as children who may have learning disabilities or learning difficulties. She is able to offer assessment for children who may have Autistic Spectrum Disorder (ASD) or Attention Deficit Hyperactivity Disorder (ADHD), informed through the use of Psychometric Assessment when appropriate. Chloe uses a range of therapeutic models and approaches when working with children and young people, including Cognitive Behaviour Therapy (CBT), and Systemic and Narrative approaches. She also has experience of teaching and training staff and other professionals on a number of issues as well as teaching on academic courses. She is a member of the British Psychological Society (BPS) and is registered to practice with the Health Care Professions Council (HCPC). 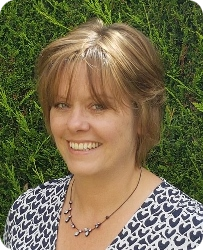 Annette is a Specialist Speech and Language Therapist, with over 20 years’ experience. She has been working in Independent Practice since April 2016 and now works in partnership with Wiltshire Psychology Service as part of the Autism Spectrum Assessment Team. She is a member of the Royal College of Speech and Language Therapists (RCSLT) and the Association of Speech and Language Therapists in Independent Practice (ASLTIP). Annette is registered with the Health and Care Professions Council (HCPC) and has a current DBS certificate. In her previous work in the NHS and local government organisations, she has worked with various multidisciplinary assessment teams and in various educational settings. Annette has specialist knowledge and expertise in working to develop the communication and interaction skills of children with autism and related conditions. Annette is also trained in the Picture Exchange Communication System (PECS), and can offer follow-up therapy to introduce this and other suitable approaches to establishing successful communication for children who struggle to initiate and maintain a conversation. Joanne is a Chartered Clinical Psychologist who has over twelve years’ experience of working in the NHS. She has a specialist interest in the assessment and diagnosis of children who may have Asperger’s Syndrome or fall onto the autism spectrum. Joanne formerly worked in a specialist NHS multidisciplinary child and young person autism assessment team. She is trained and experienced in using the Autism Diagnostic Observation Schedule (ADOS-2). 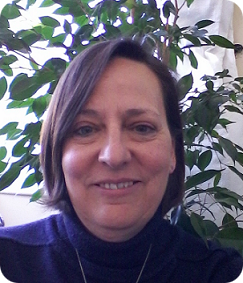 Joanne is part of the Wiltshire Psychology Service Autism Spectrum Assessment Team. She is also able to offer post-diagnostic support and follow-up. Joanne has experience in a range of therapies including Cognitive Behavioural Therapy (CBT), Acceptance and Commitment Therapy (ACT), Systemic and Narrative Therapy. She is also experienced in tailoring psychological therapies for autism spectrum and co-occurring mental health problems. Joanne is a member of the British Psychological Society (BPS) and is registered to practice with the Health Care Professions Council (HCPC). 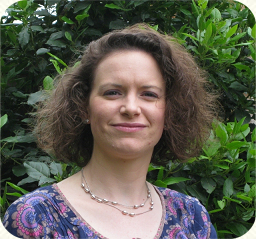 Kat is a Chartered Clinical Psychologist registered with the British Psychological Society. She has been working in psychological settings since 2006 and has focused much of her work in child and adolescent services, both in academic and clinical settings. This has included several years in Child and Adolescent Mental Health Services in the NHS, working in psychological therapy with young people and their families who encounter multiple difficulties and life challenges. 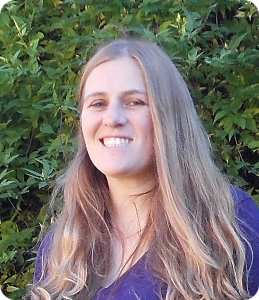 Kat has published work in the areas of mental health problems within families and self-compassion. Kat has worked regularly with young people experiencing a range of anxiety disorders, low mood or self-esteem concerns. Additionally, she has worked with mental health problems alongside additional concerns such as learning difficulties, autistic spectrum difficulties or physical health problems. Kat works collaboratively with young people and their families; utilising a range of therapies including Cognitive Behavioural Therapy and systemic approaches. She is committed to working within a safe, supportive and non-judgemental therapeutic relationship developing a space where thoughts and feelings can be explored. She has experience of using psychometric assessments where it is clinically appropriate and has worked within several Autistic Spectrum Disorder (ASD) assessment clinics. She is a registered practitioner by the Health Care Professionals Council (HCPC). Sarah is a Clinical Psychologist with 15 years’ experience working with children and young people with mental health needs and neurodevelopmental needs in a variety of NHS and academic settings; she continues to work part-time in the NHS for CAMHS (Child and Adolescent Mental Health Service). She also has experience working in training and was employed as a Senior Lecturer on a Clinical Psychology University course. Sarah has experience working within a range of therapeutic models, including Cognitive Behavioural Therapy, and person-centred, behavioural, and systemic approaches. She has a special interest in working with children with neurodevelopmental needs, in particular, children on the autism spectrum and children who are deaf. Sarah has significant experience in the use of cognitive assessments and has worked within Autism Spectrum Clinics and Neurodevelopmental Clinics for the majority of her career. She has training in ADOS and 3di (both tools for autism spectrum assessments) and extensive experience of working alongside British Sign Language (BSL) and foreign language interpreters across individual therapy, cognitive assessment, and group settings. Sarah is fluent in English and German and has BSL Levels 1 and 2. She is registered to practice with the Health Care Professions Council (HCPC). 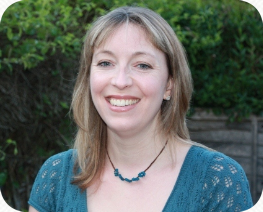 Rebecca is a Chartered Clinical Psychologist who qualified in 2008. 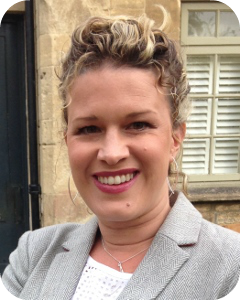 For the past 10 years Rebecca has been specialising in working with adults and older adult clients. Rebecca has experience of completing psychological assessments, and interventions for a range of psychological and emotional difficulties (including trauma, low mood, anxiety, low self-esteem, psychosis, and cognitive difficulties). She has worked with individuals, couples and groups. Therapeutically, Rebecca draws from a variety of evidence-based models (cognitive behavioural therapy, compassion-focused therapy, acceptance and commitment therapy, systemic therapy, and mindfulness based approaches) to ensure psychological therapy is tailored to individual need. Rebecca is a member of the British Psychological Society (BPS), the Division of Clinical Psychology, and the Faculty of the Psychology for Older People. She is also registered to practice with the Health Care Professions Council (HCPC).